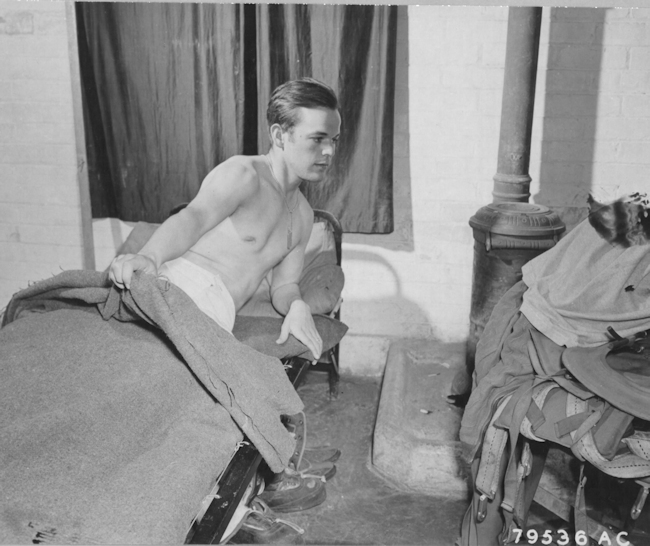 (1) Molesworth, England, 6 July 1943 – S/Sgt William W. Fleming from Jenkins, Kentucky, a waist gunner on the 427th BS Billy Southworth Crew, views the pile of clothing which an airman must wear before going on a bombing mission. 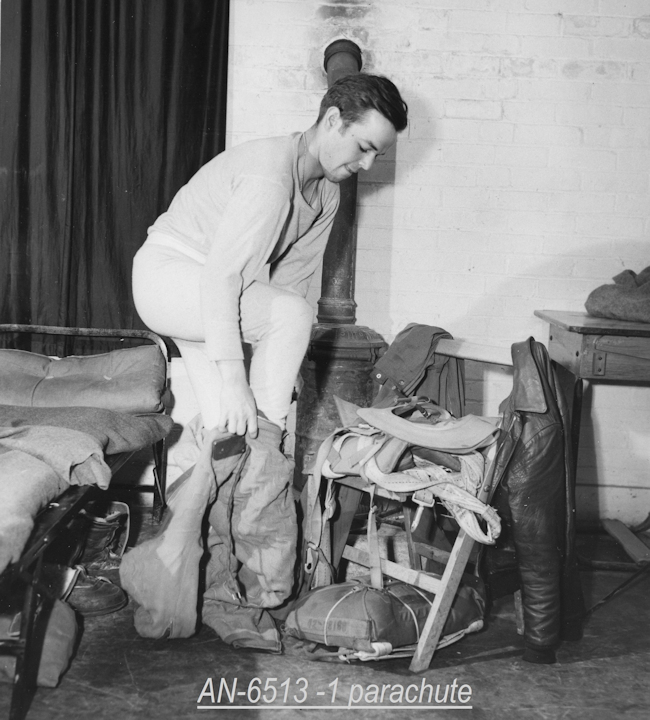 (2) S/Sgt Fleming dons the electrically heated flying suit over his heavy underwear. 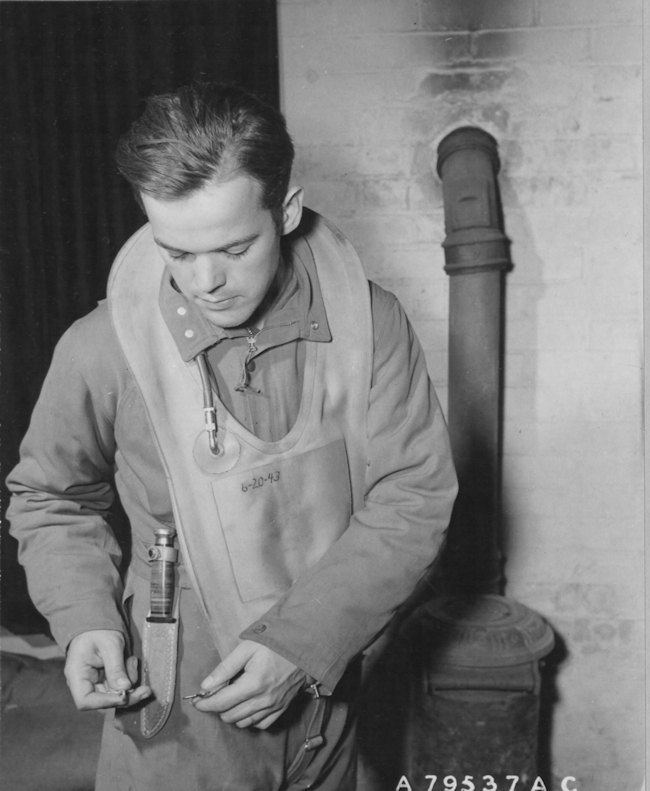 (3) After donning the electrically heating flying suit, S/Sgt Fleming puts on the electrically heated flying shoes, which are plugged into the suit. (4) S/Sgt Fleming dons a Mae West jacket over his flying coveralls, in case he has to bale out over the water. 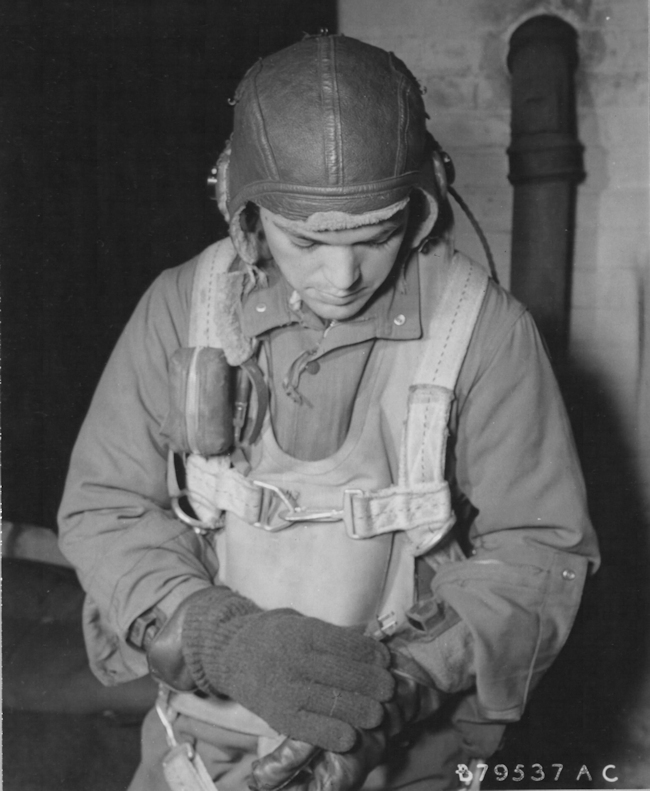 (5) One of the last stages in dressing for a mission is putting on the electronically heated gloves. Here S/Sgt plugs the gloves in the electronically heated flying suit. Worth noting in this photo is that S/Sgt Fleming has slipped a pair of woolen gloves over the heated ones of the F-1 suit, suggesting they alone weren't warm enough. 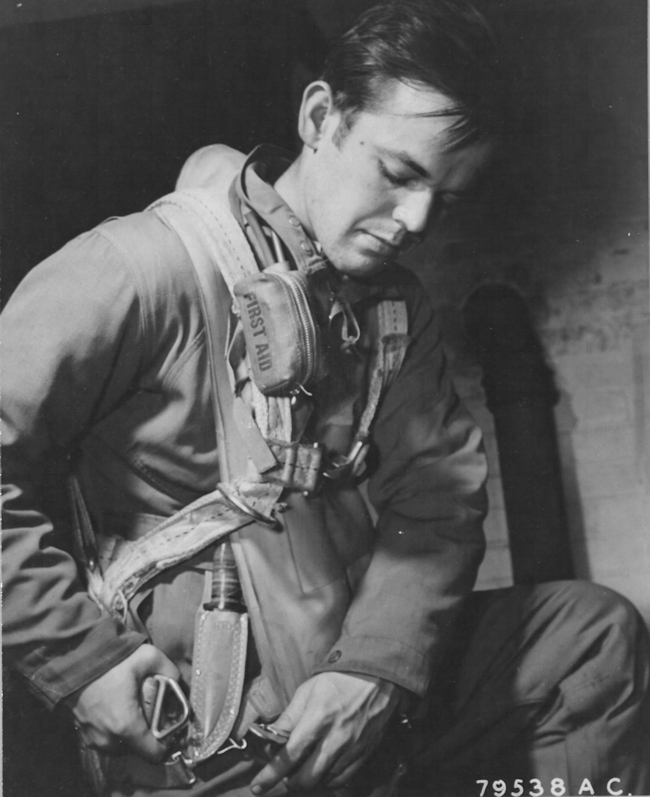 (6) The last stage of dressing for a bombing mission is the parachute. 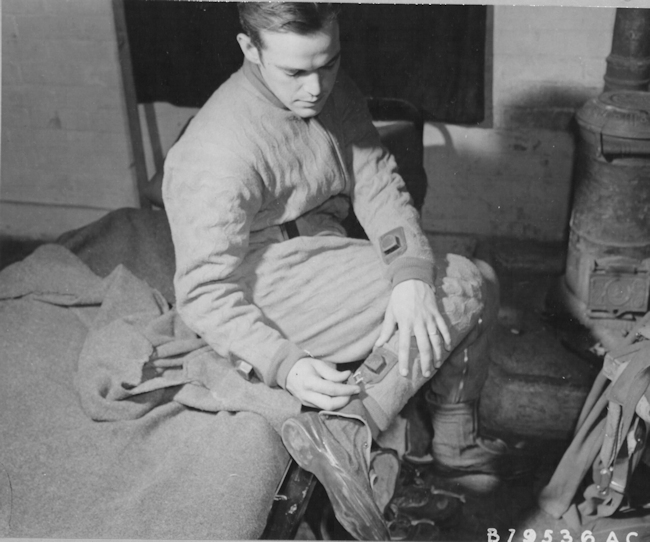 Here S/Sgt Fleming buckles the parachute over the Mae West jacket. 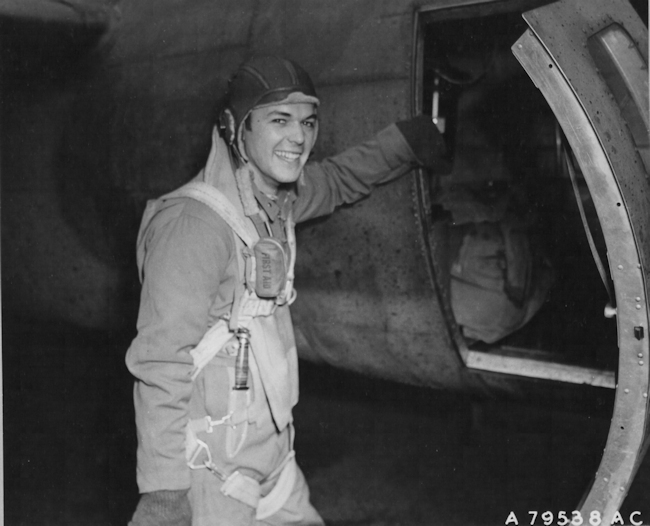 (7) S/Sgt William W. Fleming is now fully clothed for a bombing mission and ready to enter the door of his Boeing B-17.